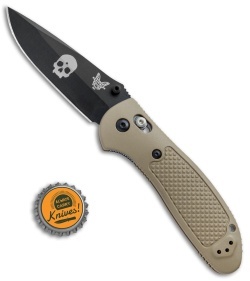 This special edition Griptilian features a black blade with custom laser markings of the AmericanSnipers.org logo and iconic AmericanSnipers.org skull. 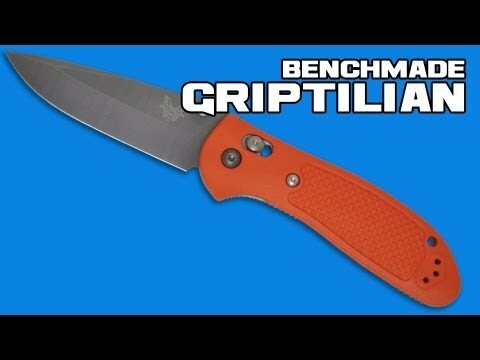 The Griptilian features textured glass fill Noryl GTX sand colored valox handles (which are very strong and very lightweight). Double 410 stainless liners add strength to the knife handle. The blade is 154-CM stainless drop point style (plain). 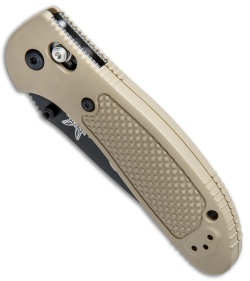 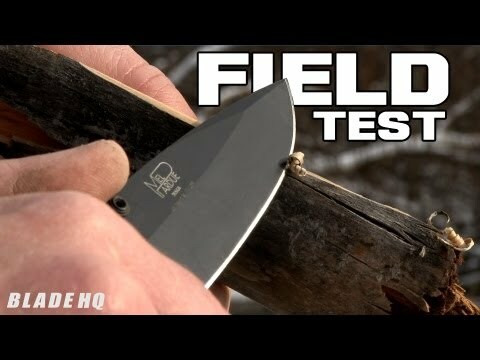 The pocket clip can be reversed for right or left handed people. 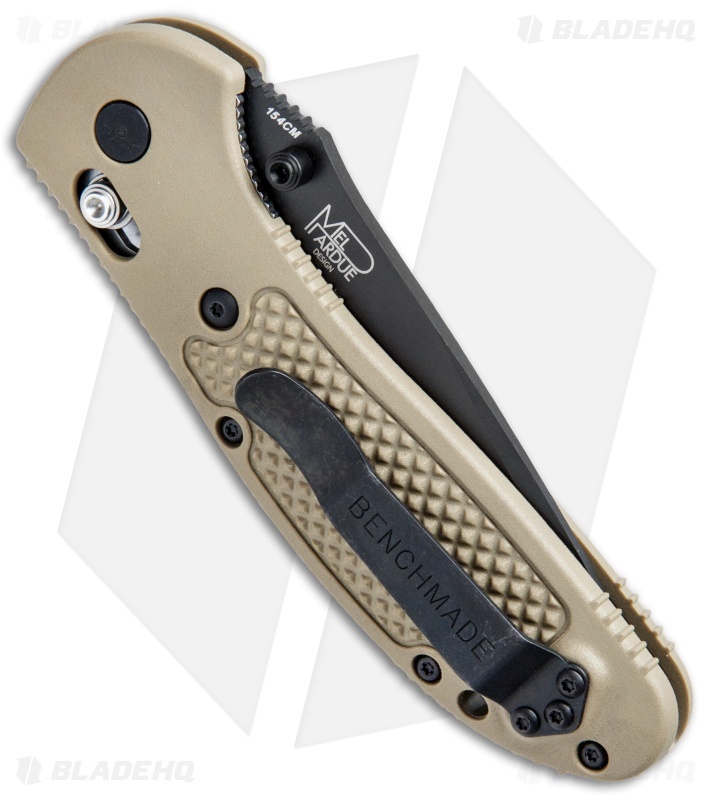 The AXIS lock system makes the knife easy to open and easy to close (it operates identically for right and left handers).